As a Life Coach, Kimberly works to help you achieve your goals in life. A Resonance Repatterning(R)session quickly gets to the heart of issues presenting themselves as problems in our lives, identifying unconscious patterns, beliefs and generational imprints which impact you. A session works to shift frequencies of these patterns within your bio-energetic body. Energetic modalites include: color, sound, movement, breath, acupressure, aromatherapy, cranial contacts to name a few. With over 100 protocols to work with your specific life needs, a session can assist you in creating more life energy, positive health, harmony, creativity, effective communication and insight. Experience Quantum Change made easy through Resonance Repatterning. *Resonance Repatterning is registered by its creator, Chloe Faith Wordsworth. 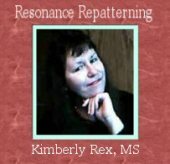 Kimberly Rex, MS is an experienced Certified Resonance Repatterning Practitioner,Life Coach and Person-Centered Expressive Therapist. She served on the Board of Directors for the Repatterning Practitioners Association as the chair for World Peace Hologram, as well as author and Journal planning committee. She writes for a number of wellness blogs across the Internet. She has been described as an intuitive, empathic life coach who gets to the heart of issues with solutions for tangible and positive change. She offers personal and group sessions by phone, Skype in-person and proxy with people all over the world including individuals, couples, groups, and organizations for creating greater wellness and well being. * There are many choices to suit your needs from packages, 45-minute sessions to 90-minute sessions. She is available for presentations and workshops. Your body is a map of your life's experiences. Within the innate wisdom of your body-mind field are the tools to create more harmony and balance naturally. Sessions are sacred spaces for healing. Working with the information from your system can heal the present while transforming the past because we can access unconscious material from your family system, your birth process and pre-verbal experience. This is all done in a very nurturing and loving way to bring you into greater alignment with your life purpose in the now. Where there are beliefs,losses, trauma, attitudes, injury from the past that no longer serve you today, this process helps you get to the root. Updating your energetic resonance changes your life. What you resonate is what you experience in the world. Change your resonance, change your world! Contact Kimberly at http://www.windowstotheart.net to schedule your personal session. Sessions can be experienced by phone, Skype, proxy or in-person. International clients welcomed. Spirit Art is created through intuitive modalities for paintings with individuals focusing on Life and Spirit Purpose, Vision, and Connection with Spirit (guides, power animals, angels, nature). 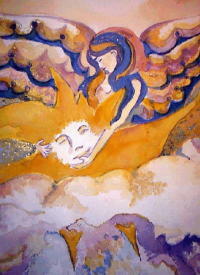 Most of my work is in watercolor or silk. 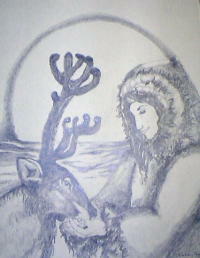 My poems are nature and spirit-based. For information regarding poetry, please call or write. Lifting the lid to the sun.